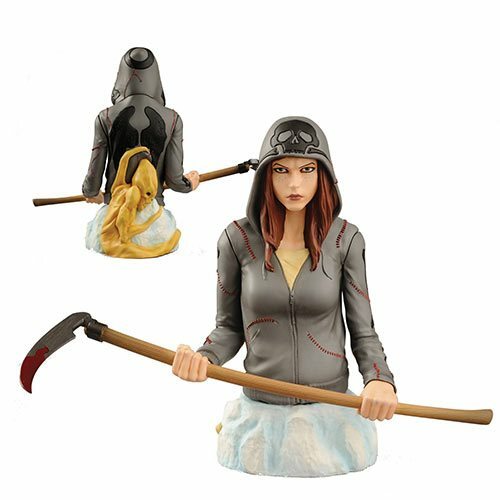 Shopping for Image Comics Busts? Em Cypress is straight out of the pages of Images' hit series Revival, by Tim Seeley and Mike Norton. This Revival Em Cypress Mini-Bust measures 6-inches from the top of Em's head to her base. Em is clutching a bloody scythe and has a creep crawling up her back. She was designed by Israel Skelton and Mike Norton and sculpted by Arlen Pelletier.